Like personal cards, the market for business cards has been characterized by ever-increasing rewards and perks. Therefore, the selection criteria for the top business cards have been weighted heavily towards the rewards offered. These are my favorites. The Bank of America® Business Advantage Cash Rewards Mastercard® credit card is an attractive card for small businesses because it offers 3% cash back on your choice of one of the following six categories: gas stations (default), office supply stores, travel, TV/telecom & wireless, computer services or business consulting services, 2% cash back on dining (for the first $50,000 in combined choice category/dining purchases each calendar year, 1% thereafter) and 1% cash back on all other purchases. Plus, new cardholders can get a $300 statement credit with at least $3,000 in net purchases within 90 days of account opening. There is no annual fee. 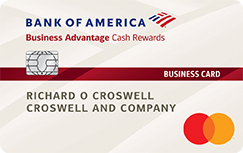 Click here to learn more and apply for the Bank of America® Business Advantage Cash Rewards Mastercard® credit card today! 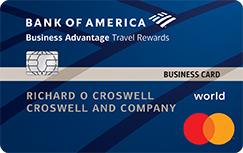 The Bank of America® Business Advantage Travel Rewards World Mastercard® credit card awards 1.5 points for each dollar spent on all purchases. Earn 3 points per every dollar spent on travel purchases (car, hotel, airline) booked through the Bank of America® Travel Center - powered by Expedia®. Redeem points for a statement credit to pay for your flights, hotels, rentals, and other travel purchases. The card offers a bonus of 25,000 points when you make at least $1,000 in net purchases within 60 days of your account opening which can be redeemed for a $250 statement credit towards travel purchases. There is no annual fee. Click here to learn more and apply for the Bank of America® Business Advantage Travel Rewards World Mastercard® credit card today! The SimplyCash® Plus Business Credit Card from American Express offers 5% cash back on purchases made at U.S. office supply stores and wireless telephone services purchased directly from U.S. service providers. You also earn 3% cash back in a category of your choice from a list of eight, including airfare, car rentals, gas, restaurants, and more. All other purchases get 1% cash back. 5% and 3% apply to the first $50,000 in purchases per calendar year, then 1% applies thereafter. Cash back received is automatically credited to your statement. Terms apply. There is no annual fee. See Rates & Fees. Click here to learn more and apply for the SimplyCash® Plus Business Credit Card from American Express today! The Plum Card® from American Express is a charge card, which usually means that you must pay the balance in full every month. However, this card allows you to defer part of the balance to the next month if you make the minimum payment by the due date. Alternatively, if you pay at least the minimum amount within 10 days of receiving your bill, you get a 1.5% discount on that portion of your balance. Terms apply. There is a $0 introductory annual fee for the first year, then $250. See Rates & Fees. 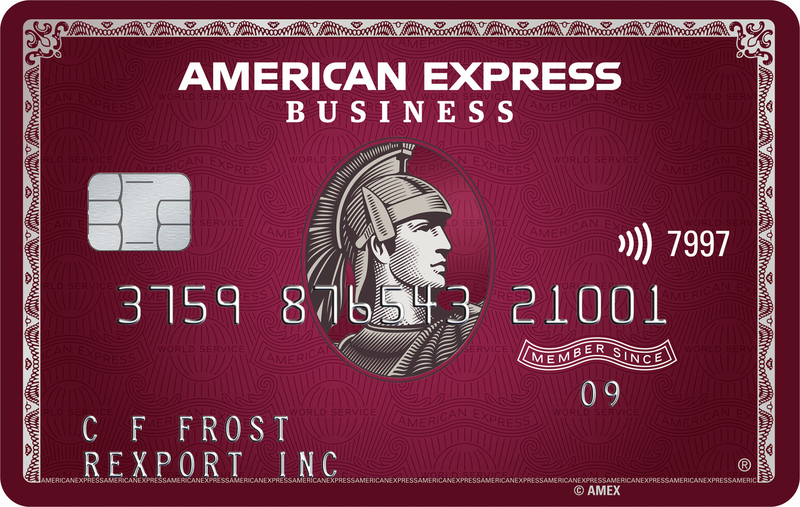 For rates and fees of The Plum Card® from American Express, please click here. Click here to learn more and apply for The Plum Card® from American Express today! With the Capital One® Spark® Cash for Business, you can get 2% cash back on all purchases. There are no categories, no limits on your rewards, and no minimum redemption amount. New cardmembers can earn a one-time $500 cash bonus after you spend $4,500 on purchases within 3 months from account opening. You can get employee cards at no additional cost and earn rewards on their business spending. There is a $95 annual fee for this card that is waived the first year. 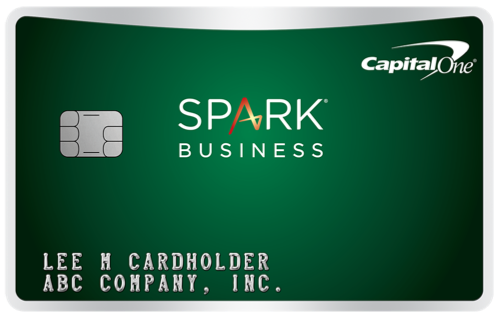 Click here to learn more and apply for the Capital One® Spark® Cash for Business today! The Capital One® Spark® Miles for Business offers 2x miles per dollar spent on every purchase, everywhere. New cardmembers can earn a one-time bonus of 50,000 miles after spending $4,500 on purchases within the first 3 months of account opening. This card is also versatile in rewards redemptions. If you don't want to spend your miles on travel, you can redeem them for merchandise, gift cards, and even cash. There is a $95 annual fee for this card that is waived the first year. Click here to apply for the Capital One® Spark® Miles for Business today! The Business Platinum® Card from American Express offers a generous 5x points on flights and prepaid hotels on amextravel.com. Get 50% more points on each eligible purchase of at least $5,000, and get a 35% airline bonus (up to 500,000 bonus points per calendar year) when you choose a qualifying airline and use your points to pay for all or part of a flight on that airline. You can enroll for up to $200 in statement credits annually for Dell purchases. Also get one year of Platinum Global Access from WeWork if you enroll between 2/15/2019 and 12/31/2019. New cardholders earn 50,000 Membership Rewards® points after you spend $10,000 and an extra 25,000 points after you spend an additional $10,000 all on qualifying purchases within your first 3 months of Card Membership. Terms apply. There is a $595 annual fee for this card. See Rates & Fees. 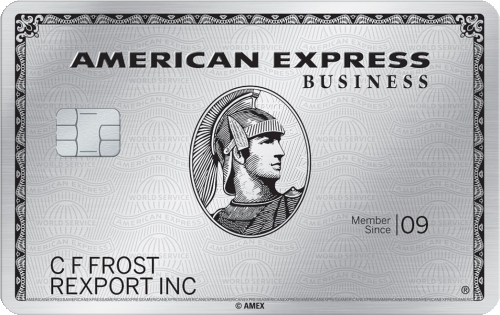 Click here to apply for the Business Platinum® Card from American Express today! US Bank has an excellent business credit card as well. The fine print states there is a $25 annual fee, but it is waived if you make at least one purchase every year. I was surprised to find that the business card did not require a personal SSN, which keeps it seperate from personal transactions and credit reporting. The business card is also a good means to build credit for your business, which may come in handy when seeking credit without a personal guarantee in the future. Note that the consumer protection reforms passed for credit cards a couple years ago don't apply to business credit cards. 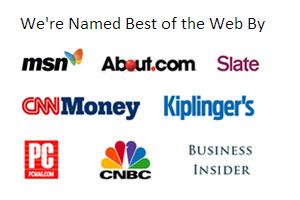 They are only appropriate for business users with responsible credit usage habits. 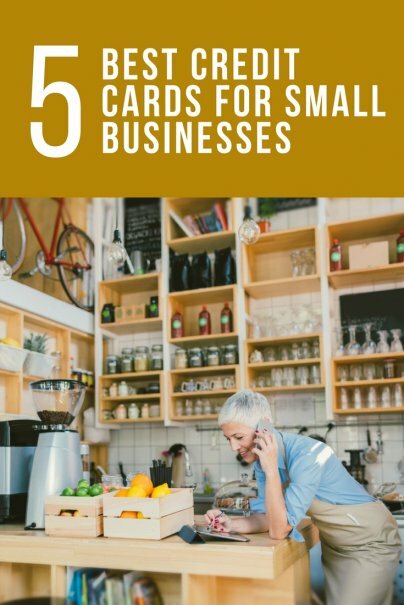 Many people overlook the small business owners need for great credit cards that help them track and manager expenses. Instead of the social security number the small business will normally have an EIN number for tax tracking purposes. 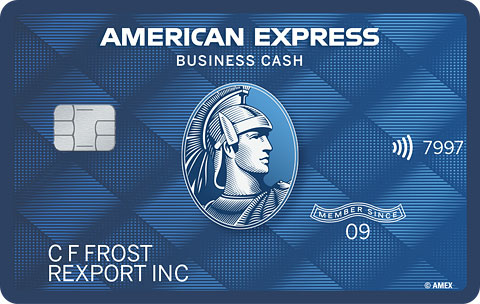 I have the #1 (American Express) card and use it weekly for my business. I'd def. recommend that one. Thanks for the kind words. It’s scary to think how many more small business owners would be getting their financing if they thought about their credit as an asset! The bottom line with credit is preserving it if it’s already excellent and improving it if it’s not where you want it to be.